Get active Mixcloud subscribers quick and easy, with our premium music industry email marketing packages. Browse best value email lists and find you perfect threshold of music promotion balance. (Take a look at DemoPoolBase, too, our specialized music industry email marketing service). We kind of rock Mixcloud marketing (heck yes – check our Mixcloud promotion page). That's how we've put together and maintained a razor-sharp-up-to-date list of Mixcloud subscribers through the years. 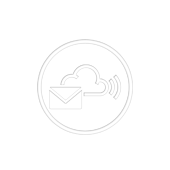 They can be yours, with this friendly and competitive Mixcloud email marketing package. Buy an email list of Mixcloud subscribers 1,000 strong, delivered in record time. Inject some spaceship propellant into your electronic music promotion campaigns, with a high-quality email list from the experts of EDM promotion & marketing. Hey there! Interested in even more top-quality music marketing email lists? If so, visit DemoPoolBase, our brand new service that'll take care of your every music email promotion need. Whatever music industry email base you may think of, chances are we've got it. Check by yourself (link opens in new tab).